Data – IP Address / Browser details, will track return visits. If provided: Email, name, customer conversations, company of employment. Mechanism – Browser based js tool, using cookies. Retention – Anonymous interactions are held for 90 days only. Conversations / Identified leads or customers are kept indefinitely. CybSafe keep the 400-500 most recent. Retention – 26 months. After contract cease, client/user PII is removed/pseudo anonymised, but with test scores and usage stats retained. Jurisdiction – EEA & US (we cannot guarantee which data centre this information might go to). Data – Sendgrid are CybSafe’s SMTP relay, Email address, names and account information can be placed in emails. To customer administrators, they can be sent information relating to and identifying their employee users. Sendgrid record mailbox delivery records, clicked links, metadata etc. Retention – (sendgrid site) We retain email message activity/metadata (such as opens and clicks) for 365 days. We store bounce messages and spam reports (which may contain content) indefinitely, and we store minimal random content samples for 61 days. The traffic data, or CDRs, for SMS messages is stored for 10 years. We store this information for tax compliance purposes. The SMS content, or messages sent and received, is stored as specified by the project owner or Twilio customer. Customers can choose to delete message bodies any time via an HTTP DELETE request. Once the request is received, it is removed from the customer facing repository that holds messages. Message bodies may persist up to 30 days in database backups. Twilio backs up its data bases in order to be able to recover from service failure. These backups are deleted every thirty days. Data: Email address, client id (unique client identifier: eg 135), language, country, IP address. Error debugging information. Other personal data is not routinely captured but this is a crash report, so potentially information is contained amongst the technical information (passwords are intentionally & automatically filtered out). Personal Data processed outside the EEA is communicated to our partners and customers as follows in a schedule attached to our customer and reseller agreements. 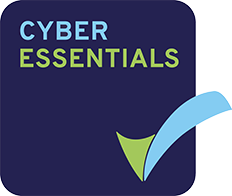 Cybsafe is providing the Services to the Customer through a unified cyber awareness platform which educates Authorised Users via a range of modules designed to optimise behavioural change. 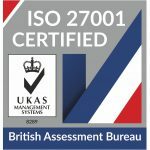 Cybsafe will process the Personal Data in order to identify and authenticate Authorised Users, give the Customer and Authorised Users access to the learning modules, analyse the levels of understanding and improvements in behaviour of Authorised Users in relation to cyber security and provide analyses to the Customer. Cybsafe will anonymise the Personal Data for use as comparative and statistical information. The Data Subjects will be employees, agents and independent contractors of the Customer authorised to use the Services. Some third party tools – such as Google Analytics – used by Cybsafe to deliver the Services involve personal data being processed in the USA. This is only done under the legally binding personal data protection terms of EU-US Privacy Shield Agreement.